Buy your favorite Windows-powered ACER device and get up to Php 5K worth of SM Store Vouchers. 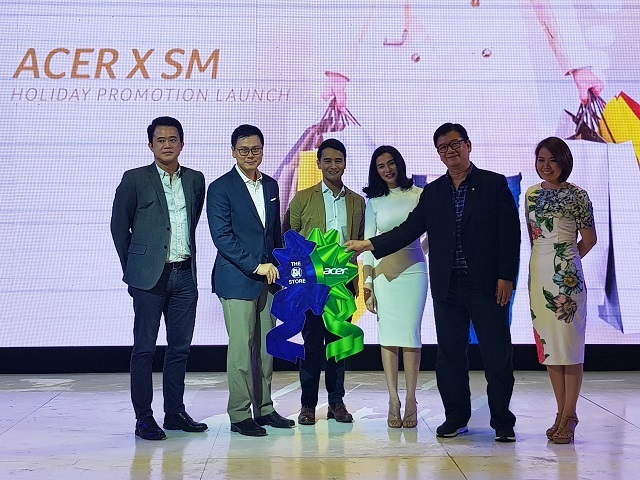 Acer taps retail giant SM for the #MalayangPasko Holiday Promo. This Christmas promotion was launched in the SM Megamall Fashion Hall earlier today with celebrity endorsers JM De Guzman and Jennylyn Mercado. The promo mechanics are just simple. 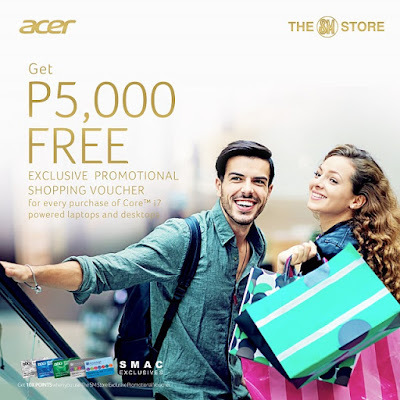 Acer Philippines will give you up to Php 5K-worth of SM Store-exclusive shopping vouchers in every purchase of a Windows-powered Acer device. Breaking down the mechanics, Customers will get shopping vouchers worth PHP 5,000.00 for every purchase of Intel Core i7-powered laptops and desktops; PHP 3,000.00 for Intel Core i5-powered laptops and desktops; and PHP 1,000.00 for Intel Core i3-powered laptops and desktops, and projectors. Covered devices include Acer Windows-based laptops, All-In-Ones and desktops. On top of that, buyers who will present their SM Advantage cards, SM Prestige Cards or BDO Reward Cards will enjoy 10x more SMAC points upon redeeming SM Store items using the Exclusive Promotional Vouchers. "This year, as a thank you for keeping Acer as the leading PC brand in the country, we want our gift to really bring joy, and the best way we can do that is to give consumers the freedom to choose their gift,” shares Sue Ong-Lim, Acer Philippines’ Sales and Marketing Director. The Acer and SM Store #MalayangPasko will run until December 31. Grab your own Windows-powered Acer device now!